This article examines the key benefits of media processing SaaS compared with traditional infrastructure, taking a look at the latest innovations and requirements operators should look for in software and the cloud that can speed up time to market for OTT services, unlock new workflow efficiencies, leverage software and IP, and provide superior video quality up to UHD HDR. Business agility is one of the greatest benefits of media processing SaaS. With a cloud-native service, operators have the capability to launch new services in a matter of hours as opposed to weeks and months. This kind is reactivity cannot be achieved with traditional on-premises platforms unless over-dimensioning the infrastructure, which is not cost effective. Another attractive feature of SaaS is its pay-as-you-grow business model. Operators only pay for what they use, which dramatically alters the economics of OTT delivery. Scalability is a unique advantage of the SaaS approach. Relying upon native auto-scaling and elasticity of the IaaS and the application layer, media processing SaaS enables operators to only use the resources necessary for the required workflows when needed. Resources can be scaled up and down, which is perfect for channels covering limited time events or sports tournaments that might only last a day or few days. Additionally, workflow operations are dramatically simplified due to the function collapse enabled by SaaS. Hosted in the public cloud, SaaS removes the need to build out a physical plant for OTT services. Operators no longer require complex and discrete chains; rather they can support the entire workflow from content acquisition to playout, graphics, transcoding, encryption and delivery with one solution. Furthermore, operators benefit from the fact that media processing SaaS is maintained and operated by the technology provider. Having a team of experts tasked with ensuring superior quality of experience and service availability at all times allows operators to focus on media and content monetization. There are several cloud solutions for media processing that exist today; however, most are repackaged versions of vendors’ existing software appliances within a virtual machine running in Microsoft Azure or the AWS Cloud. They do not provide the agility, flexibility or scalability that is required to launch OTT services. Video content and service providers need a true cloud-native solution. Recently, we’ve seen cloud playout capabilities added to media processing SaaS, and it is making a huge impact on the way operators create and deliver video. Performing playout in the cloud opens up further cost savings for operators, speeding up their operations and enabling new types of monetization, such as brand reinforcement, pop-up channels, rapid platform deployment and expansion, graphic avails and more. Today’s consumers expect the same quality for OTT as they do for traditional broadcast channels. Innovations in encoding and transcoding technologies enable operators to deliver UHD HDR from the cloud at low bit rates, with low latency. Choosing a SaaS that provides support for a wide range of formats, codecs and encoding schemes is important. Supporting the next-generation Common Media Application Format (CMAF) standard, SaaS solutions can help operators deliver about the same latency for OTT as live broadcast signals direct to the consumer. Bandwidth efficiency is a must when distributing OTT services. 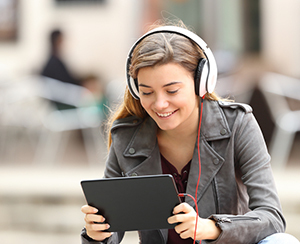 Recent advancements in content-aware encoding (CAE) ensure that operators can deliver a superior viewing experience while reducing bandwidth consumption by up to 50 percent. Even better, these bandwidth improvements can be made without needing to upgrade infrastructure to the HEVC codec. Another thing to consider is that OTT services are expanding in nature, beyond VOD. Operators need to support advanced features, such as time-shift TV, cloud DVR, and live TV to satisfy consumer demand and differentiate their service from the competition.Â Cloud DVR, in particular, is becoming especially popular, allowing viewers to record individual TV shows or series and consume the content on any device, anytime, anywhere. With a comprehensive SaaS solution, operators can securely contribute live 24/7 services and events. Today’s SaaS offerings are capable of handling content preparation and delivery of streams in various protocols (i.e., MPEG DASH, Apple HLS, and Microsoft Smooth Streaming) directly to viewers’ devices. Finally, having the ability to deliver OTT services on a global scale is a great way to drive new revenue. Operators can prepare and deliver content from anywhere in the world, with total geographic redundancy and operational resiliency using a media processing SaaS. With cloud distribution there is a lot of flexibility in terms of selecting which content to deliver to consumers in various countries, states and regions, as well as which CDN to use. A great example is Fuji TV using a cloud-native software application to streamline the distribution of content to different platforms in different countries. Performing channel origination directly from a public cloud platform as opposed to physical infrastructure provides Fuji TV with massive cost savings and increases its monetization opportunities. Utilizing SaaS for media processing, video content and service providers can run leaner, more agile and scalable operations, and launch revenue-generating OTT services extremely quickly. Usage-based pricing keeps capex and opex low, enabling operators to explore monetization opportunities. Moreover, recent advancements such as content-aware encoding can be leveraged to ensure superior video quality at low bit rates across all screens.